Hello! 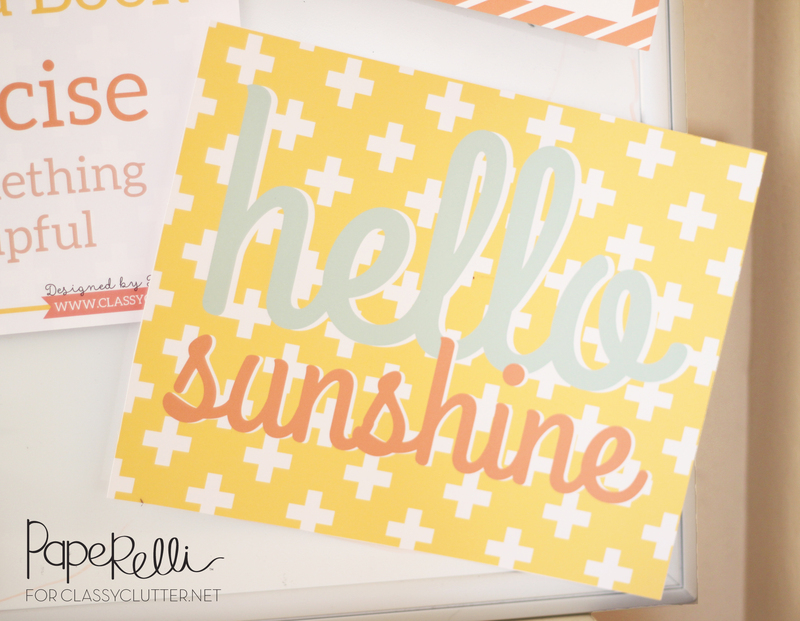 It’s Courtney from Paperelli, where I design cards, printables, and invitations. Summer is right around the corner! I can’t wait for all of the fun that summertime brings! Swimming, lemonade, warm sunny weather, and delicious summer BBQ. Mmm. 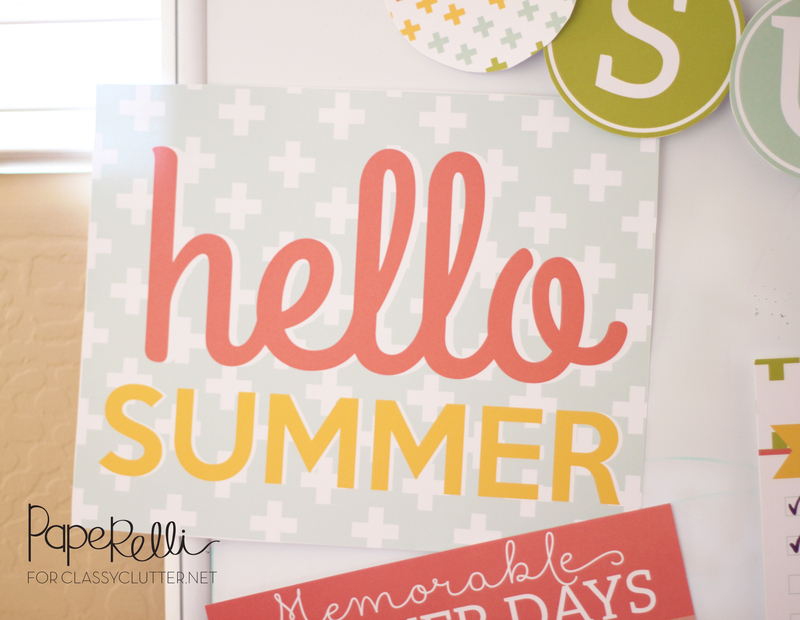 This month I wanted to make some printables that will make summer even better than it already is! Decorate your home, office, or classroom with these fun summer prints. All you need to do is download, print & trim. Then, add to your favorite 8×10″ frame or washi tape it wherever you’d like! 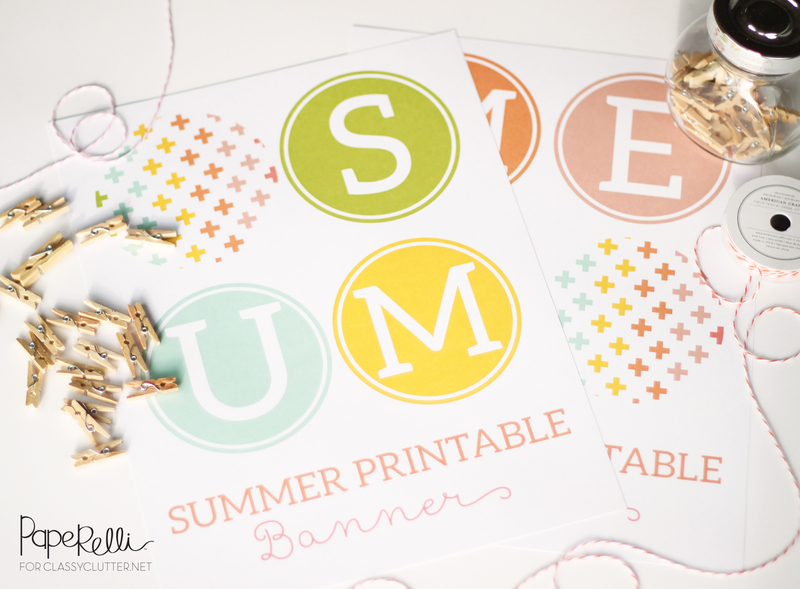 I just love this colorful Summer Printable Banner. It’s easy to make too! 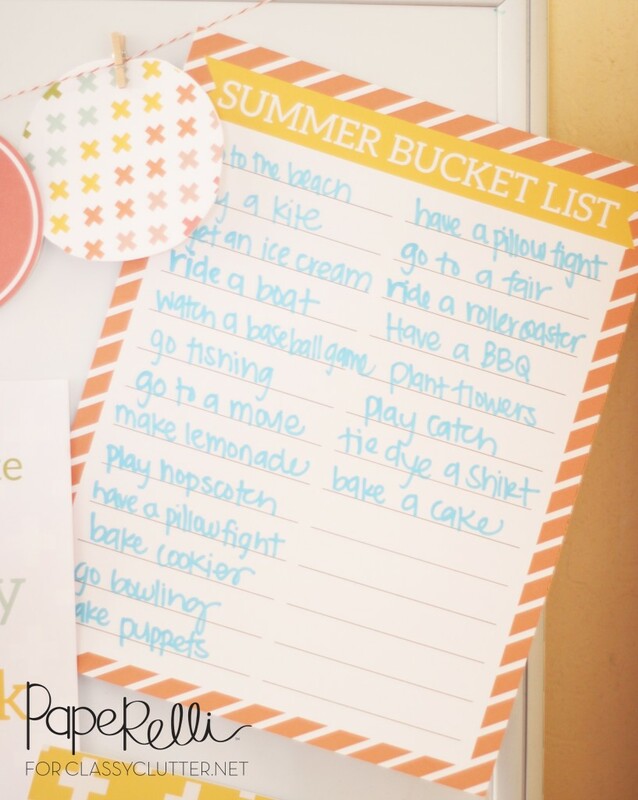 Just download the PDF, print on card stock, cut out each circle, and clip onto your choice of twine or ribbon. Are you hoping to keep your kids reading this summer? 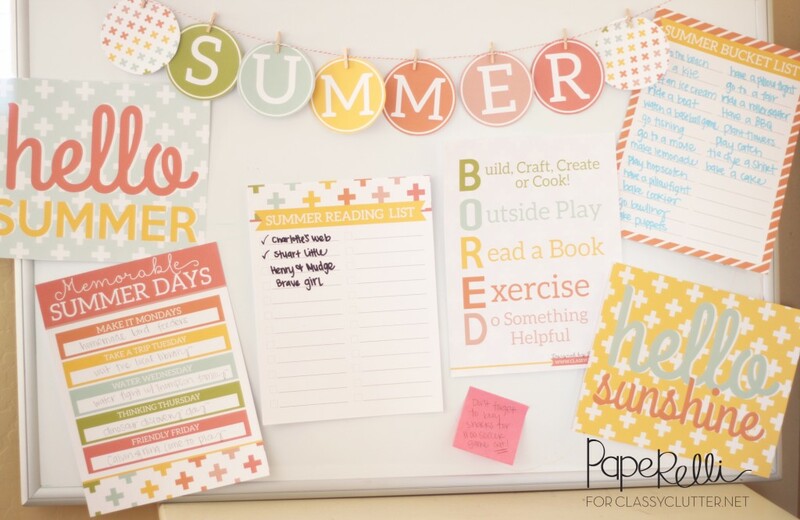 This Summer Reading Checklist might be a fun printable for them to keep track of what books they have read and want to read this summer. 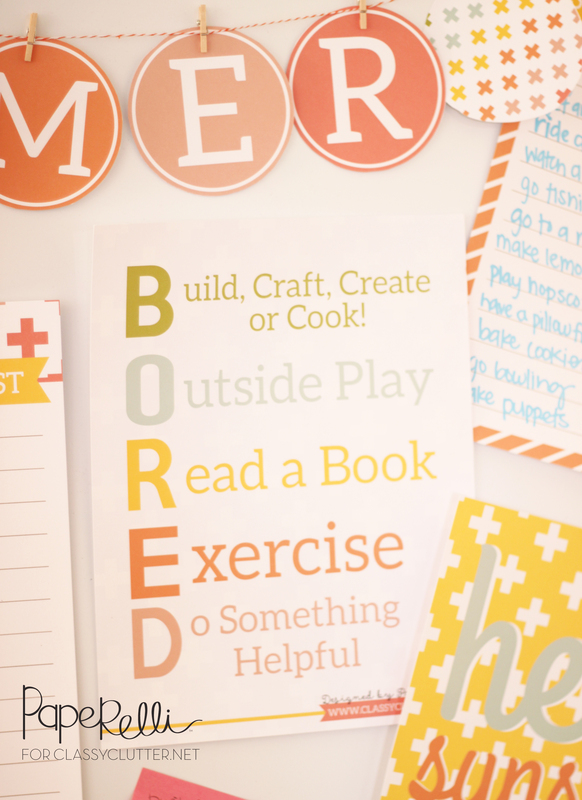 “Mom, I’m Bored.” How many times do we hear that lovely little phrase during the summer? Keep this Bored Summer Printable up as a way to help the kids find something entertaining to do when they run out of ideas! 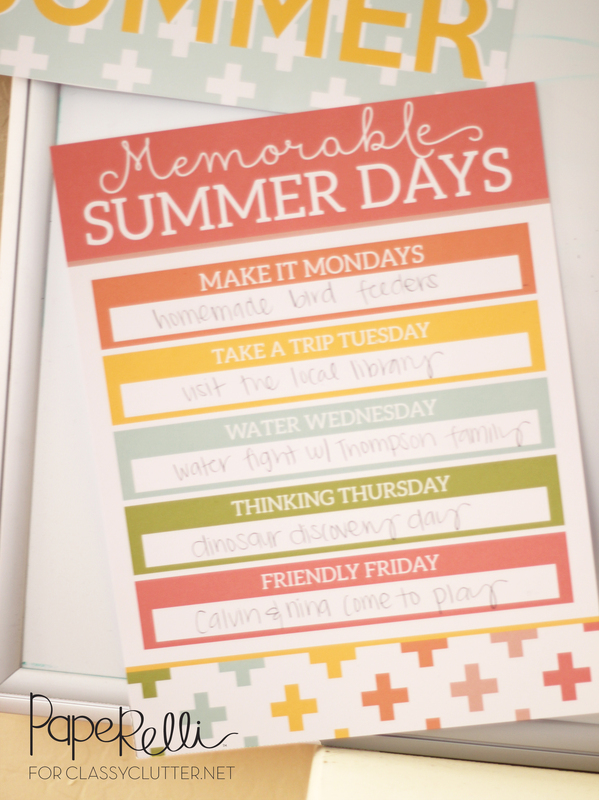 Make this summer extra memorable with this Summer Bucket List and this Memorable Summer Days printable. Tape to the fridge, bulletin board, or some place where you’ll see it often. As always I LOVE seeing what you do with your Printables. Please share using #paperelliprintables on Instagram or tag @ClassyClutter and @PaperelliDesigns. 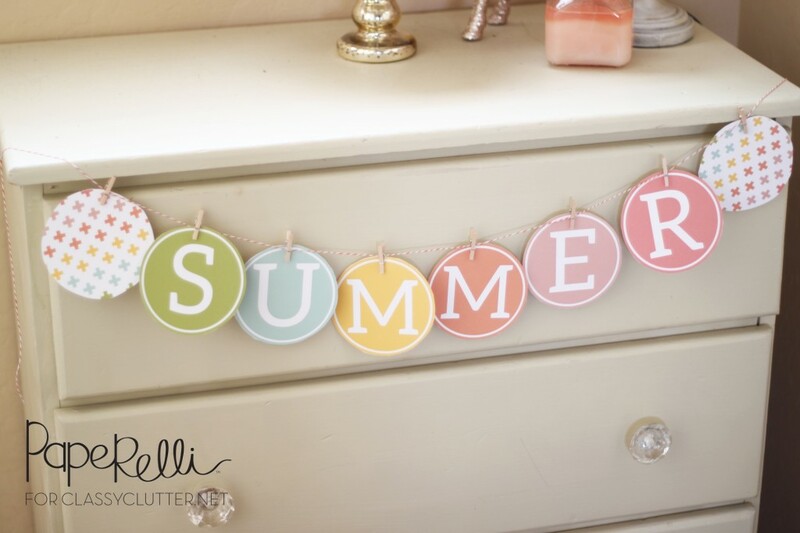 What is your favorite part about summer? 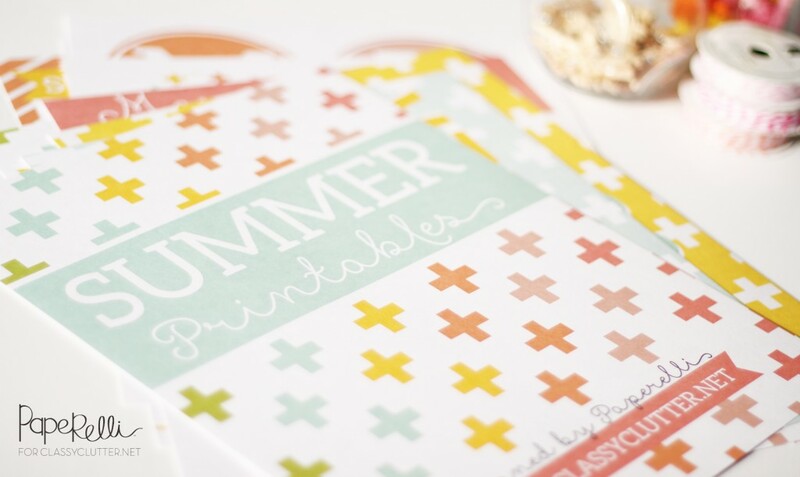 Which summer printable is your favorite? So cute as always, Thank you! Just adore the sorbet colors! Fabulous collection! so neat! thank you for sharing, I love them!